Solar Plumb Solutions is a locally owned and operated business focusing on full range of solar services including solar hot water system installation, solar PV, repairs and maintenance in the West Swan. We aim to make energy in West Swan area affordable, sustainable and keep the environment clean. We offer 24-hour a day, 7 days a week (24/7) emergency hot water repairs to ensure that your hot water needs are met. From small repairs to a completely new installation in the West Swan. Give us a call today to discuss about all your solar hot water and PV electrical need. 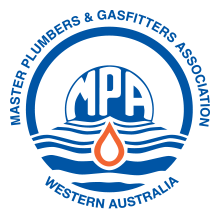 We are a proud Western Australian company utilising quality equipment and globally renowned brands. We service the Perth metropolitan area and prioritise customer satisfaction. We are one of the best solar installation, services and repairs provider Perth Wide! We service all the listed suburbs and all their respective surrounding areas. If your area isn’t listed, please call us on 08 9470 3753 and speak with one of our friendly staff. We are a local, Perth-based company that specialises in a full range of solar energy services. We install solar hot water systems, solar panels (PV systems) and heat pumps, and can also provide servicing and maintenance for your current system. From small-scale residential properties to large-scale commercial projects, we have the expertise and experience to get the job done to a high standard and on schedule.